Imagine a world without Slums. Fine, let us keep it close; imagine the City of Nairobi, Cape Town and probably Mumbai or your favorite City without a single informal settlement, slum of shacks. That is exactly the thing…your mind is probably saying well it is possible and perhaps it is also wondering how possible and real that could happen. Most likely you are also pondering whether we have the same definition of the slum or shacks. Do the Parveilas in Brazil the same as the Ghettos in Kenya, or do the slums in India the same as those in South Africa? Can slums in Nairobi, Mumbai, Brazil, South Africa or anywhere be defined the same way? Or, does having access to sanitation, water, infrastructure and services and secure tenure become the only indicators that we can use to measure the extinction of slums? Develop specific recommendations and guidelines for slum improvement policies and the development of well-adapted housing alternatives to prevent new slum formation (the Rabat Declaration). Devise the strategy required to revise Target 7-D of the Millennium Development Goals (MDGs) and adjust it more closely to the diversity of national conditions and circumstances. Share successful experiences, methodologies and evaluation methods with regard to slum reduction. Broaden the scope of experience-sharing within the conference to bring in Least performing Countries (and African Countries in Particular), to help them implement effective slum reduction policies. 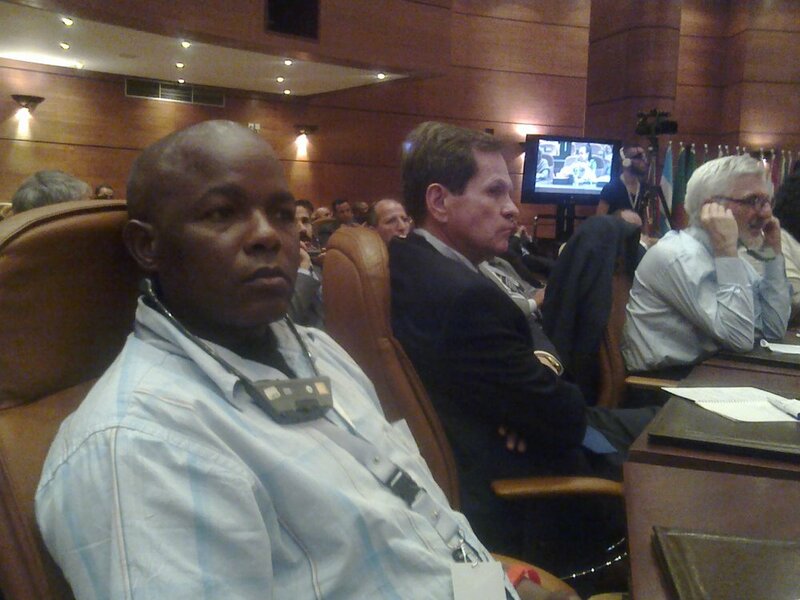 Strengthen partnerships between Morocco and other African countries. The conference was addressed by among others the Minister of Housing, City Planning and Urban Policy of Morocco, the UN-Habitat Director, Cities Alliance, World Bank and SDI. We were able to present from our main presentation the SDI’s background, mandate and experience by highlighting the issue of the role the community must lead in slum upgrading. We then shared our perspectives on slums post 2015 MDGs or perspectives that we thought stakeholders in slum upgrading need to consider as UNHABITAT proposes to develop Sustainable Development Goals. SDI presented 3 key points that argued the importance of helping a slum upgrading process to happen as some of our perspectives regarding the development of Sustainable Development Goals. Here our main argument was in respect to the issue of community organization underlining the rituals of the federations and emphasizing community ownership and community led initiatives by giving examples of Huruma Slum Upgrading in Nairobi -Kenya and our experience of the Kenya Railway Relocation Programme (RAP). Our second point stressed that land delivery was a prerequisite for any slum upgrading to happen. Using our Kenyan context again; we shared the challenges therein of attempting to make slums history when in a situation like Nairobi which have 50% of the slums found on private lands and another 40% on lands considered to be unlivable (i.e. riparian and railway reserves and those living under the high voltage electrical power lines e.t.c). We hence brought out the need to have the government and all actors to address the issue of land. Our third point that we also delivered was the need to scale up successful cases by not only choosing to deal with the settlements that only are appealing but to also invest in finding solutions to deal with informal settlements that appear to be difficult. Our major issue on this matter was to encourage all players to consider looking at slum upgrading as both functional and spatial and as a broader strategy of poverty alleviation. Sample of comments, suggestions and photos captured during sessions by SDI representatives. “We would have wished to see more representation of the slum dwellers especially from the case studies shared in this conference. One would have hoped that the hosts would have had in this conference representative of upgraded areas as well as those that have not succeeded or waiting to benefit”. Joseph Muturi during the thematic workshop session on Planning, Land Management and Urban held on Day 2, 09:30- 12:30; 14:00-16:30. “In the spirit of sharing could we have in the future conferences representation by countries considered to be under performing in slum upgrading processes or those that have the potential and yet challenged in whatever form. It is amazing to hear stories of change and success and one hopes some of countries would have benefited a lot from the experiences shared here and could have re-kindled hope to those that have despaired and lost hope of assisting the poor”. Suggestion by Joseph Kimani a Program Manager with MuST during the South-South Cooperation Session held on Day 2 16:30-18:30. Our main question was? Whether it was possible to make slums history? How did the Morocco attain this goal? The Moroccan speakers took all the participants through their journey of making slums history in their nationwide “Cities without slums” programme which focuses on improved shelter conditions for over 1,742, 000 people living in informal, substandard housing, contributing to better urban inclusiveness and social cohesion. We learnt that since, 2004 the Morocco programme has achieved over 70 per cent of its overall objective. The speakers too acknowledged there were challenges that they are facing as a government while implementing the programme but emphasised that the 70% success so far has been as a result of the strong push of their strong leadership and political will, well defined objectives, an appropriate modus operandi and adequate budgeting. Declare 45 cities without shanties out of a total of 85. By doing achieving the above, Morocco and many other countries in the world have managed to beat by a multiple of 2.2 MDG Target 7-D namely to “significantly improve living conditions for at least 100 million slum dwellers by 2020. The UNHABITAT estimates that between 2000 and 2010 a total 227 million people in developing countries have experienced significant improvements in living conditions. 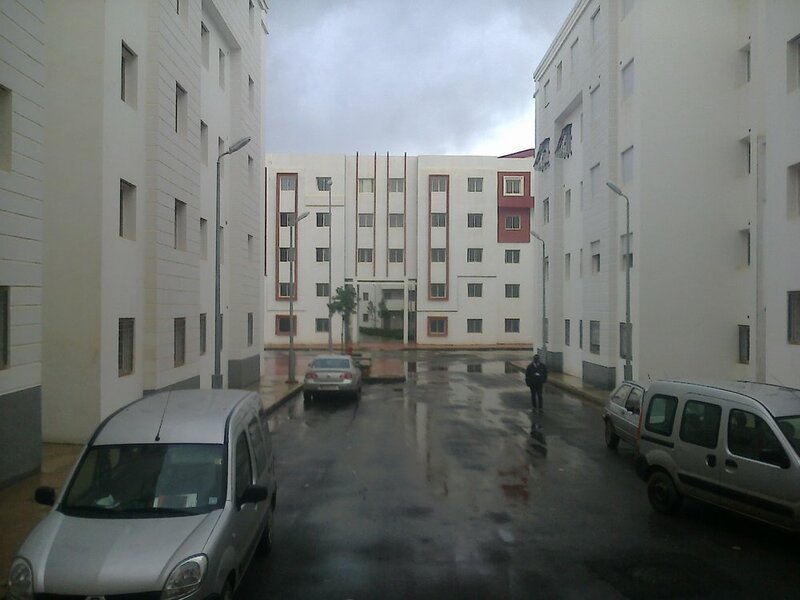 Picture showing one of the Moroccan Housing projects. The completed units are planned to be occupied by 60% low income earners while 40% will be occupied by middle income earners. The presentations by best performing countries like Brazil, China, Morocco, Turkey brought out vividly the extent countries and their governments can go to improve the standards of those living in the informal settlements through scaled up housing developments. However, there it should be noted that caution should be taken to ensure that the large scale housing developments do not create shells of void, silence and emptiness by ignoring the value of human development. The fact that some of the presenters and participants appreciated and acknowledged the role of SDI in facilitating and enabling the communities in the slums to be the drivers of slum upgrading and human development was very encouraging and inspiring. It is with the same spirit that we hope all of us within SDI would work hard in ensuring that slum upgrading does not only become a rhetoric of the states authorities and institutions but remain as real and focused towards addressing the economic, social and physical needs of the people. It will be our desire to see countries like Kenya responding by speeding up efforts of scaling up slum developments. The ability is there, the resources are with the public and private institutions and all that we hope would be needed is the governments goodwill and commitment.